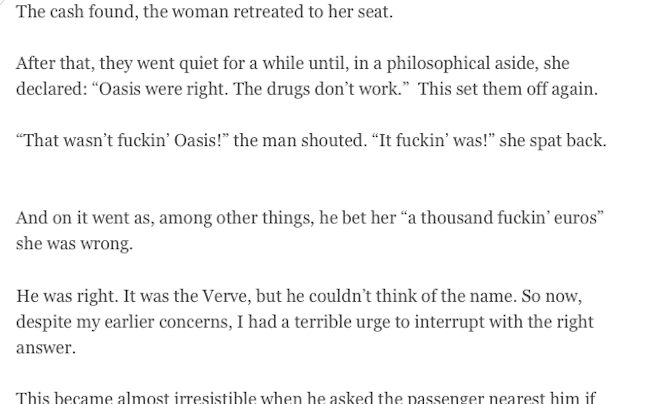 Reading Frank McNally’s Irishman’s Diary in last Wednesday’s Irish Times, I spotted what I thought might be a change in the paper’s policy on swearwords. But it would seem the answer is ‘No’, because here is a piece in yesterday’s sports section by Keith Duggan. Maybe the sports subs use a different stylebook than those on the op ed page? 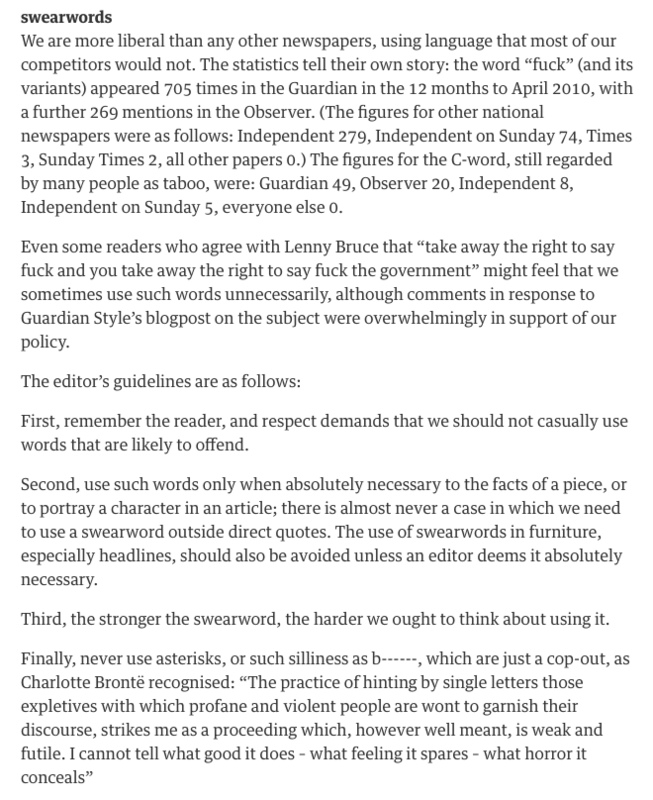 Knowing that the Guardian is much more relaxed about using swearwords, I checked out its style guide, and was amused to see that the use of asterisks or blanks was condemned by no less an author than Charlotte Brontë. If it was OK by her back in the 19th century, then I reckon it should be OK for the Old Lady of D’Olier Street in the 21st.